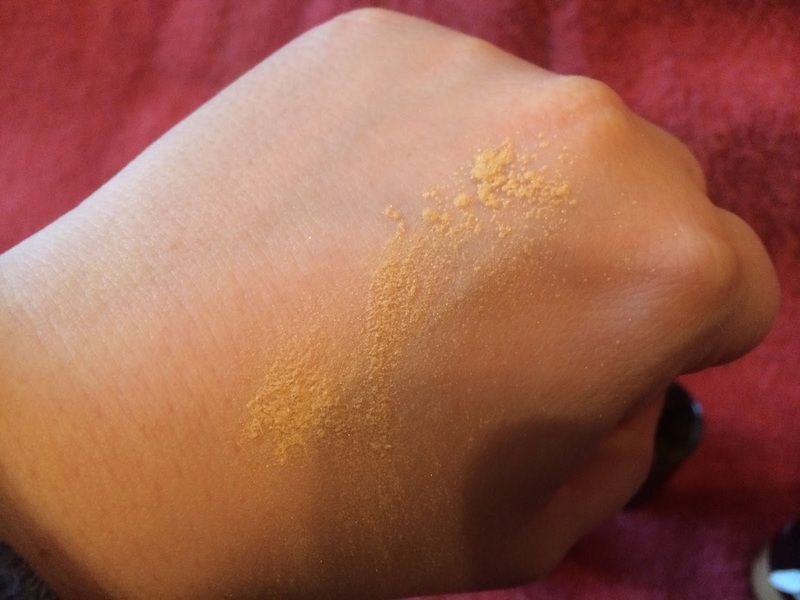 How I have survived without dry shampoo in my life is a complete and total mystery to me, infact it was only a few years ago that I did discover it and one brand or another has remained a staple product within my bathroom cupboard. 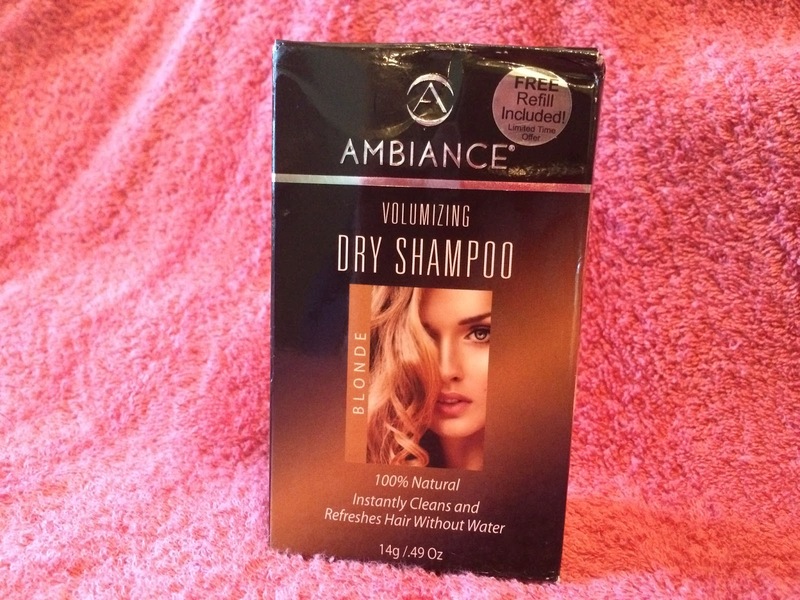 So when I sent some Ambience volumizing dry shampoo in blonde, I was really keen to try it. Arriving in its black box, everything you need to know about the product is clearly displayed for you to read. It states that it is 100& natural, instantly cleans and refreshes hair without water, is both Paraben and preservative free, not tested on animals, contains no alcohol, is non-flammable and is sulfate free - wow! The applicator brush is found inside a protected lid to keep the brushes shape and a retractable sleeve, as soon as you remove the lid the brush comes to life and to use you simply tilt the brush and having sectioned your hair, use the brush in circular motions to distribute the powder, which was much easier than I was anticipating and it doesn't create any mess, then I used my Tangle Teezer to brush my hair through once I had finished and voila, those greasy looking oily roots were no longer. 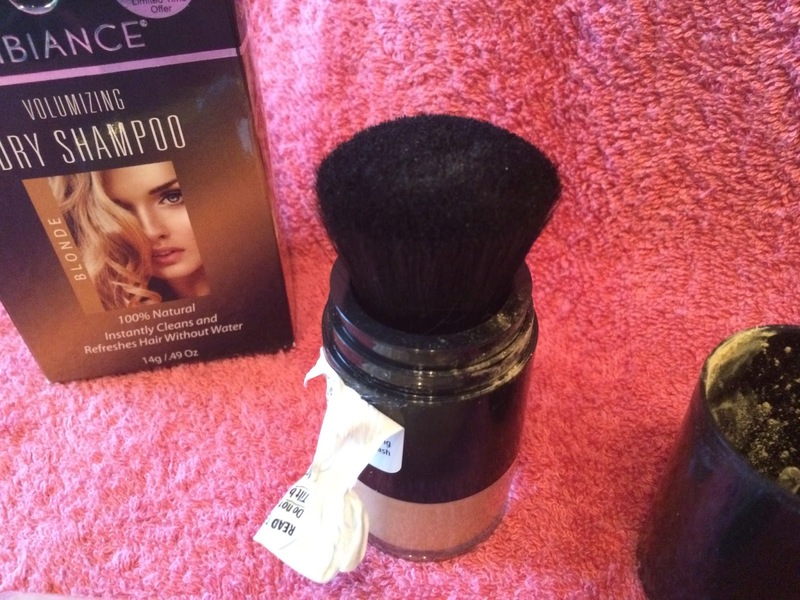 If you are someone who has their hair highlighted or coloured regularly, this dry shampoo also works to conceal those roots which is an added bonus. So how did it fair? Well it did leave my hair looking as though it has just been washed and feeling clean, my oily roots had disappeared and there was no white residue or stickiness, so it ticks all of those boxes for me. Did it add some volume, yes it did, once I ran my fingers through my hair there was a bit of a lift round the roots so my hair was no flat against my head and it saved me having to get my hair dryer out and add any further products, so again another ticked box. The only thing I would change is to get a darker shade, as my hair is dark blonde, I think a darker shade would be more suitable, though this one did work really well. Ambiance Volumizing Dry Shampoo has a RRP of £26.98 though if you look around you can find it priced a little cheaper around £14.99 HERE , however as it is more than just a dry shampoo it is something I would recommend people who do highlight and colour their hair regularly to try because it does conceal those roots, which is brilliant for those inbetween hairdresser appointments. I have been using my dry shampoo for a good few weeks now and it shows no sign of running out anytime soon. 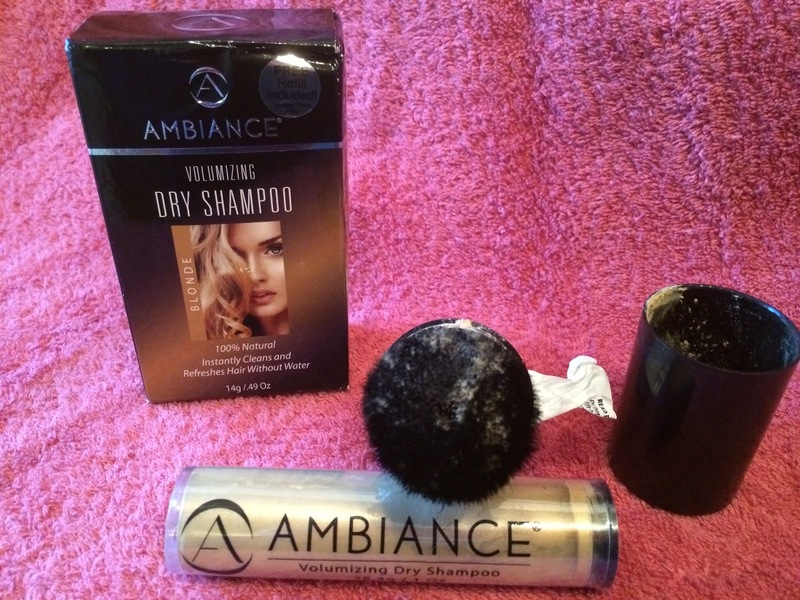 The Ambiance Volumizing Dry Shampoo is available in Blonde, Black, Brunette, Grey and Red the box I was sent did contain a refill which is one of those limited time offers, so it is worth hunting it down until the offer is rescinded. 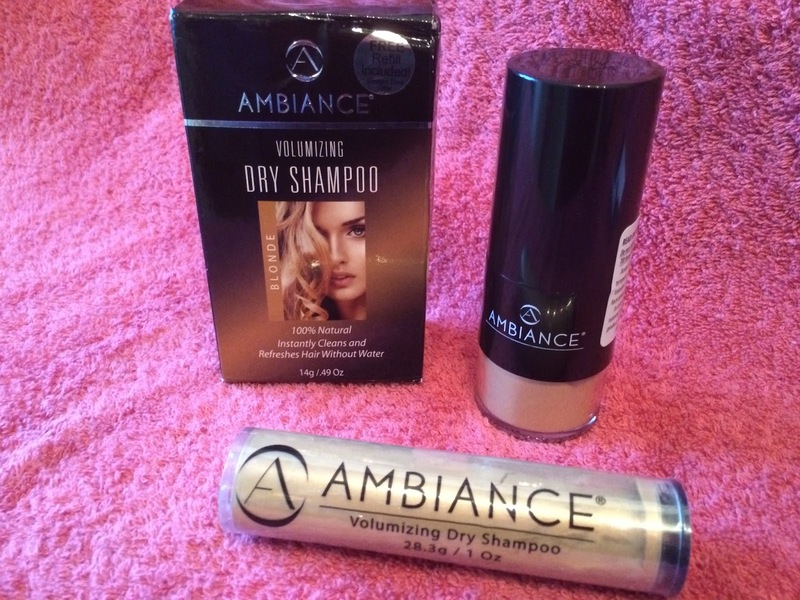 Have you tried the Ambiance Volumizing Dry Shampoo? ive never heard of this, I definitely need to try it! I've been looking for one that isn't so white since my hair is dark. I need to track this down. This actually sounds really good, although it's a bit more than I'd like to spend on a dry shampoo I think!